I do not like the direction in which our society is travelling. In March this year, the Churches published a report showing that nearly 100,000 children had been affected by sanctions in 2014 alone and that people with mental health problems were being sanctioned at a rate of more than 100 per day. Seriously? 100,000 children are affected by sanctions imposed on their parents? Let us remember what sanctions do. They deprive families of the money they need to pay for shelter, heating, food and the basic essentials of life. So 100,000 children were deprived of the basic means to live. What sort of society is it that does this to the innocent? The report told stories like that of Martin*, aged 60, who missed an appointment with the job centre because his wife died suddenly. He was sanctioned for six weeks, leaving him with nothing to live on and in a state of confusion as his wife had previously handled most of their joint paperwork. He came to the local church for help and charity Acts435 helped him with his living expenses until he could come to terms with the new shape his life had taken. That poor man. Sanctioned for 6 weeks for missing an appointment when his wife died. What sort of society is it that thinks it is reasonable to hurt such a man? Peter (20 years old) was sanctioned twice - once for 4 weeks and once for 13 weeks - for failure to attend appointments with Groundforce (his Work Programme provider). On both occasions he had not received any letter stating that he had to attend an appointment. The lack of income led to an estrangement from his own family who could not afford to support him. He moved to stay with his girlfriend’s family but the financial pressures led to a further breakdown and he was re-housed in a hostel. He needed to claim hardship payments, discretionary housing payments, and use foodbanks in order to survive. The Coventry Law Centre assisted with mandatory reconsideration letters and the decisions were overturned, although not all of the benefit owed to him was reimbursed. We had a number of customers who had been sanctioned including one guy who had been sanctioned for being late for his appointment at the job centre because the queue was so long it took him to past his appointment time to be seen. He was sanctioned even though he had arrived at the job centre in plenty of time. DWP incompetence is legendary, of course, but this is beyond belief. Freedom of Information requests* show that in March 2014 – the last month for which data is available - 4,500 people who were judged as unfit to work because of long term mental health problems nonetheless had their sickness and disability benefit removed. Moreover the data shows that as the sanctions regime was tightened those with mental health problems were disproportionately affected. How, in God's name, is it EVER justifiable to sanction someone who is too ill to work? And what on earth is the point of doing so? Since these people are too ill to work, this can have nothing whatsoever to do with creating incentives to work. It is deliberate cruelty. There is no other satisfactory explanation. Department for Work and Pensions guidance for assessing whether someone has a long term medical condition accepts that it is “usual” for the health of a claimant to deteriorate while they are sanctioned, if they have no other resources to fall back on. It states “It would be usual for a normal healthy adult to suffer some deterioration in their health if they were without essential items, such as food, clothing, heating and accommodation or sufficient money to buy essential items for a period of two weeks…” The DWP guidance repeatedly acknowledges that the sanctions it administers are expected to cause deterioration in the health of normal healthy adults. Audrey attends the JCP [Jobcentre Plus] every other Thursday at 10am to sign a declaration. On 25.10.12 she fails to attend to sign. On 1.11.12 she attends to sign at her normal time saying she forgot to sign last week as she got muddled with her dates. On 6.11.12 the DM [Decision Maker] determines that Audrey failed without good reason to participate in an interview as arranged to sign a declaration. This is Audrey’s first failure. A 4 week sanction is imposed. So, Audrey's benefits are removed completely for 4 weeks because she got her dates muddled. Remember that DWP says deterioration of health would be normal if people did not have basic means of survival for 2 weeks. Audrey's punishment is double that - for a first offence. Admittedly, she might get a hardship payment after 2 weeks. But her health would already have deteriorated by then. What kind of society is it that thinks starvation and homelessness is a reasonable punishment for a simple mistake? Audrey is not a criminal: unemployment is not a crime. But convicted criminals are treated better than this. The penalties attached to sanctions often do not appear reasonable or proportionate to the “failure” that has occurred. If a similar system operated in a workplace - where pay was immediately removed for a month for being late for a meeting or not achieving a weekly target - we might reasonably expect action to be taken against the employer. Indeed. Though in Victorian times, of course, employers did exactly that, and no action was taken against them. As did workhouses. The workhouse ethic was that work is a moral imperative: people who have no work are morally defective and must be forced to work as a "correction". If they refuse to work, they must be severely punished. The DWP's sanctions regime looks uncomfortably similar. The sick, disabled, mentally ill and unemployed are treated like criminals even though they have committed no crime. A strict penal regime is imposed on them, with extremely harsh punishments for minor transgressions of unfair and arbitrary rules. These punishments affect not only their own health but the health of those dependent on them. Not unlike workhouses, really. The legal framework allows people to be instructed to do things like change jobs, attend training, or increase hours in order to earn more than the threshold income. Sanctions can then be imposed on those who do not comply with the requirements. This means that people who are already in work, ie the ‘working poor’, may become subject to sanctions unless they work for longer hours, find additional jobs, or find jobs which pay more money. Meanwhile the tabloids congratulate the government on getting the "scroungers" back to work - even though the churches note that few of those sanctioned actually find work: many disappear from the benefits system entirely. The churches comment about these people that "it is not clear how they manage". But we know that sanctions do not work. Sanctioned people are not more likely to find work: indeed the deterioration in their physical and mental health as a consequence of sanctions may make finding work less likely, not more. Destroying people's health does not make them better able to work. Removing benefits from people who are too ill to work does not restore them to health. There are persistent reports of Jobcentre workers feeling pressured to increase the number of sanctions they impose. One of the authors of this report has spoken to a number of Jobcentre advisers who were finding it difficult to reconcile their Christian faith with what they were required to do in the Jobcentre. The advisers felt that, even by following the rules with integrity, they were required to administer sanctions to people who would be damaged and had done nothing that warranted such a serious punishment. There are also a few reports of advisors setting claimants up to fail in order to keep up their sanction rate. This is a culture in which job seekers are less likely to seek the help and support they need and to which they are entitled. On reading this, I was reminded of the appalling Lloyds Bank sales incentive scheme of which I wrote a while ago. The Lloyds Bank staff abused customers because they faced harsh sanctions themselves. Perhaps this is also true of Jobcentre staff. How else is their deliberate cruelty towards vulnerable human beings to be explained? We may not (yet) have created workhouses. But we have created workhouse-like conditions among benefit claimants. 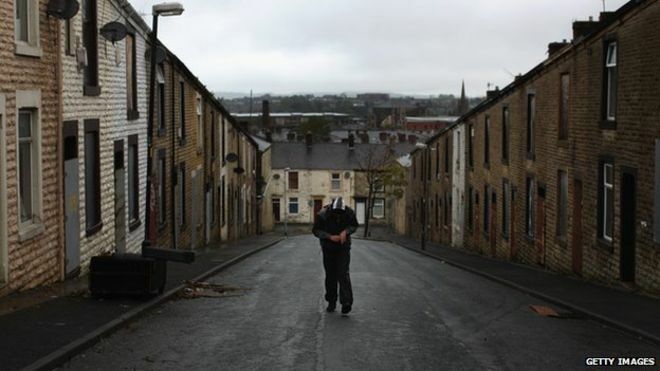 Recent research by Sheffield Hallam University finds that sanctions cause homelessness. There have been reports of terminally-ill people losing benefits because they have been deemed to be "fit for work": people starving to death after benefits are cut: people killing themselves because they have no means to live. The treatment of the mentally ill is particularly harsh. But the whole sanctions regime is a national scandal. The sanctions regime has twice been criticised by the Work and Pensions Committee of MPs. In March, the Committee called for an independent review into the operation of the sanctions regime. The government rejected that call, though it did accept (at least in principle) other recommendations within the report. It continues to insist that sanctions are necessary. I cannot agree with this. Even if sanctions work - and there is no evidence that they do - they are morally wrong. Depriving people of the basic means to live is unacceptable in a civilised society. We desperately need to replace this horrible regime. Ideally we should introduce a basic income which is enshrined in human rights legislation and cannot be removed to create "work incentives". A properly designed basic income is itself a powerful incentive to work. We do not need sanctions. They are inhumane, and they don't work anyway. We can, and should, do far better by people than this. In the 19th century it took the work of Dickens and a sustained campaign by The Times, and some high profile scandals, to expose the horror of the workhouses and bring about major social reforms. But this government is not listening even to a Parliamentary committee. What will it take to expose the horror of the 21st century benefits sanctions regime and bring about the social reforms that are now so desperately needed? * "The data collected through the Freedom of Information requests refer only to seriously affected individuals whose mental health problems mean they qualify for sickness benefit as certified by their doctor, the DWP’s private sector contractor ATOS, in addition to the DWP." "DWP incompetence is legendary, of course, but this is beyond belief"
Oh yes. They are in a league of their own in that way. The only way to be SURE you can reach them by phone, is to go into a jobcentre and use their inside public phones. I worked at the DWP as an economist for a year in-between studying during the last parliament. I can't say a bad word about any of my colleagues there, but I distinctly remember sensing very strong political pressure from above for 'tough' policies. Word was constantly coming down from ministers and SPADs for our division to evaluate the proposal for one draconian new programme or another (policy based evidence making I believe it was called). Something very similar to workhouses for work programme finishes was proposed at one point. I think they were nicknamed 'work sheds'. I remember a lot of talk over sanctions and a push to find evidence of a positive impact on outcomes. I personally spend 4 months on a quantitative evaluation of a particular madantory labour market programme delivered through Job Centre Plus, finding that it resulted in referrals being 10ppts more likely to be on benefit than the control after 18 months. Of course the impact assessment was never published as it didn't tow the party line. I found out that it had been presented to IDS after i'd left and the programme had, instead of being quashed, been expanded, 'because it was popular with advisors'. The political influence on the production of economics and statistics at the DWP completely put me off joining the civil service after finishing my studies. Political pressure and, I guess, less and less resources, targets based on savings that is, in other words, the complete removal of the original mission of the DWP replaced by a "slave-market" perspective. Ser, you wouldn't happen to still have s copy of that report would you? Or details sufficient to put an FOI in about it? Dear Anonymous, Good on yer mate -- i once had an ethical qualm like that - it didnt make me rich but took my life in some FANTASTIC directions - may that happen to you ! It should be remembered claimants aren't being sanctioned for transgressions, they're being sanctioned for alleged transgressions, which means they're being sanctioned on the whim of anonymous backroom target-driven clerks. There is no presumption of innocence. This deserves far more publicity than it's getting - especially the guidance to the effect that we know that being starved is bad for your health, but we'll do it anyway. The problem is that we've been travelling down this road for a very long time. I remember arguments with my wife (as she then wasn't) when the Thatcher government first made unemployment benefit conditional on looking for work; as far as she was concerned you should work, if you couldn't get work you should look for work, and if idle people were going to be penalised, serve them right. I just kept saying, and what then? and what then? what are they actually going to live on? The heartless, casual cruelty of the imperative to shrink the state at any cost is the obvious problem, but what makes it feasible is public opinion, and the way it's been schooled under both the Tories and New Labour. There's a very sizeable wedge of people in this country who think that benefits can always be cut, because only idle people claim benefits and idle people should be punished. Perhaps the only way that will change is with greater awareness of just how severe these 'punishments' are; perhaps the good folk of Daily Mail-land will sit up and think "I never said they should do that". Let's hope so, anyway. One problem with that argument. The state has not shrunk. With each new Austrian solution imposed Keynesian monster government has replaced the gap. State intrusion just gets bigger and bigger as the Equity and commons in society is robbed. "The people who argue that “capitalism works” are the same people who argue that we should have less government interference in the market. Now, I am all for less government; however, the plain fact of the matter is that capitalism cannot function without this interference; capitalism relies on an expanded state to balance aggregate supply and demand. Consider this fact: in the period from 1853 to 1953, the economy was in recession or depression fully 40% of the time. Since 1953, that is, since the economy became fully Keynesian, the economy has been in recession only 15% of the time. Moreover, the pre-war recessions were, on average, twice as deep and twice as long as the post-war ones. There has been an on-going attempt for the last 30 years to return the economy to its pre-Keynesian status. Since the rise of Margaret Thatcher in 1979 and Ronald Reagan in 1980, the political rhetoric has been about “free markets,” “lower taxes,” “less government interference,” etc. Both Reagan and Thatcher took Fredrick von Hayek as their economic mentor. But the more “Hayekian” the economic rhetoric became, the more Keynesian the economy has actually become; the unintended consequence of Hayek’s policies have been the opposite of what Hayek wanted: larger governments, greater debts, more centralized economic power, and so forth. Keynes’s policies are certainly, as Hayek claimed, a “road to serfdom,” but Hayek’s policies have turned out to be a super-highway to that same dismal destination. Nor is this true just for the United States and Britain. Since the Reagan administration, the World Bank has forced Hayek’s economic policies on all the developing economies, and the results have been uniformly dismal. Indeed, the theories of Hayek have been tested just as much as have the theories of Karl Marx, and with about the same results: more government power, less economic freedom; under neither did the state whither away, but became an all-encompassing behemoth." It is clear that this country is fast revisiting the Poor Law conditions of the 1834 Act that Dickens and others did not rescind but tried hard to. It was not even the Commission of 1909 that managed to achieve anything (see Beatrice Webb and other's Minority Report for that Commission which was ably summarised in a Fabian report "From the Workhouse to Welfare" ed Ed Wallis). It was only Beveridge and the Attlee Government that succeeded to begin to right the wrongs of a society that looks on the poor as self-indulgent and sees little or no scope for society except to punish those who are incapable for looking after themselves. What we are lurching quickly towards is a society that seeks to return to the conditions of mid-19th Century England where libertarian economics is the norm and where society is merely individuals doing their own thing. This is not the society that most people want but is one that we have achieved through our political system - first-past-the-post - that elects a minority party, elected on the basis of fear that individuals have about earnings and security (e.g. terrorism). Throughout the 19th Century, from Oastler to O'Connor and through to Beatrice Webb and Beveridge, there have been charismatic leaders that have persuaded others in power and those who are able to elect them to change the norms. In the 19th Century, the Poor Laws were never properly enacted and outdoor work for example (prohibited by the 1834 Act) was allowed as the Law was not implemented. The problem is that it appears to be a default mechanism in England to go back to individualism rather than the needed balance between that (including entrepreneurship) and society's needs and society's proper norms - including the need to look after those who are unfortunate (like those coming to Europe from the war torn Middle East). We need people of real character to urge change in how society accepts that not all (actually not many) of those in need are there because it is just their fault - society has a duty to them as much as we all have a responsibility to society. Beveridge remains the marker that we should adopt, not IDS and the anti-welfare state that exists today. Thank you for this, Frances. Some of us have been banging on about it for a long time, but you are more likely to be listened to. Government politicians frequently say (and journalists frequently repeat) that sanctions are "only used as a last resort". That is a blatant lie. The system was set up to make stoppage of benefits the automatic response to any perceived breach of instructions, and to forbid the immediate rescinding of the punishment when it was realised that a mistake had been made, such as an appointment time being changed but not changed on the computer. Punish first, then let them argue about it. I think much of this is down to the anger felt by certain people when their grand plans to change the world by getting all the unemployed back to work failed. How dare they remain jobless! It may well have more to do with making the present system of social security useless with a view to forcing everyone, as both Cameron and IDS have publicly suggested, to take out private insurance against unemployment, ill-health etc. One suspects the main movers behind this idea are Unum, the giant American insurance company with the long and established history, as UnumProvident and others, of criminality in the field of disability and payout denial who have been working as 'consultants' on 'welfare reform' in this country since the early 90s, as Private Eye has well documented. Wrecking social security in the UK opens up a multi-billion pound insurance market. No doubt those helping to bring this about would be well-rewarded. I recommend interested parties try Googling for Unum scandal; there's page after page after page of, for the uninitiated, eye-opening, jaw-dropping material just sitting there in plain view. I doubt it's even that well thought through. Because the people most likely to be hit by it are those least likely to be able to afford insurance against unemployment in the first place. Someone like me could probably, if made unemployed, jump through the hoops to avoid being sanctioned (and being from a middle class background, could probably rely on the support of family if the worst came to the worst). But the people being hit by these sanctions almost certainly wouldn't be able to afford unemployment insurance if they were working. I fear it's worse than this, in that there is *no* grand vision behind all this - just a conjunction of petty bureaucracy, tabloid-appeasing SPADs and Ministers who don't care about the fate of people who will never vote for them anyway. With possibly a dose of wanting to weaken the hand of the working poor by making sure that the alternative - not working - is so awful that any job, no matter how exploitative, is worth hanging on to. So, I followed your links to discussions about basic income in your previous essay, and I read (again) the Kansas City MMT's ideas on the subject and it seems to me that we Americans should immediately implement a Social Security Lifetime Stipend of $36,000 per citizen per year from top to bottom of the income scale. In other words money should flow like water into every American household and poverty will be washed away. Recently I had to sign a new 'claimant commitment.' This states what type of work you are to look for. Despite saying it was not something in which I had experience in my advisor insisted that it was put in the agreement. My next appointment was four days later. I was told that as I had not applied for any retail positions during that period my benefits were to be stopped. I had applied for other jobs. I said this was ridiculous but was told that all I could do was write down the reasons for not applying for retail positions. Eventually I got to speak to the manager and got a payment made, but the advisor had made the report. Clearly the advisors are under pressure to sanction and this puts immense pressure on the claimant who is never sure that their only source of income could be stopped for almost any reason at any time. It is deliberate psychological coercion which undermines confidence and ones sense of security. No apology was made, I still have to see the same person (despite requesting a different advisor) and I have zero trust that the same thing could not happen again. The way sanctions are dished out is intentional, but the main purpose, as with the Elizabethan Poor Laws, is to scare and intimidate those people fortunate enough to be working and/or in good health. The main aim is to make people much more compliant with their terms of employment, in order that they are afraid of what will happen to them if they were to lose, or quit, their jobs. Thus, they will be more likely to tolerate bad pay and conditions. This also corresponds to the government's anti-trade union stance, where again, workers are pushed into 'accepting' their lot at work. John Medaille explains the origins of the poor laws. The medieval church did not engage in charity. Now social creditors do not share this aspect of Distributism ...they do not believe in redistributive taxation. Its where both sides part. Conflict between The Belloc crowd and social creditors best expressed in the above article. What an utterly bizarre perspective, Paul Rutherford - you really seem to be stuck in an imaginary world where workers have no agency. I could do without the sanctimonious Christian who is reported as "One of the authors of this report has spoken to a number of Jobcentre advisers who were finding it difficult to reconcile their Christian faith with what they were required to do in the Jobcentre. " as if non-Christians were incapable of being decent, ethical people. I think that is a trifle unfair, given that the comment comes from a report produced by a group of Christian organisations. No-one is implying that non-Christians were happy to impose sanctions. But the report has a specifically Christian focus. this is quite deliberate. the Tories are conducting a class war against the poor, I'll and unemployed. Speaking for myself, I work in the cash economy part time. I have avoided direct payments from the welfare system ( which is much more generous in Ireland) for many years as they would attempt to direct me into their killing fields. I must live like a Franciscan so as to maintain some semblance of independence. More and more little luxuries get cut. It's obvious that people have no equity stake in their currencies and country. It was always so in capitalistic ballot box democracy. Advanced feudal systems were much more equitable where you had both rights and responsibilities. The Magna Carter was not a democratic charter, it was a declaration of rights. Democracy without purchasing power in the modern Industrial system is a sham. The lack of need for workers is exposing the system again. A repeat of the 19th century in a fashion. Then lost and unneeded agrarian peasants were destroyed both physically & spiritually inside the Satanic mill. The central state is being rational, very rational. If it wants to preserve a Dublin Castle like governance then it has no choice. The governance of Ireland was repeatly lost when the peasants gained wealth. The early 20th century Co-op movement is a classic modern historical example but there is many more. The central state if it wishes to survive must create subsistence / obedience and in extreme cases famine. This is absolutely true, as is the near total apathy of a large section of the British Public. Many of whom now believe in the Skivers and Strivers propaganda which has been such a success for the government. They don't seem to realise that this is all a quite deliberate re-structuring of society, based on a right-wing ideology that despises the Welfare State and the public sector. A bit like Robin Hood, only in this case stealing from the poor to pay the rich. Billy blog celebrates the disastrous rise in Irish Gdp ( pointless activity) when poverty (lack of wellbeing) can only be reduced by eliminating capitalistic costs. MMt policies lead to a soul destroying dystopia. Beware of these supercapitalists talking of liberalism, in particular the modern "progressive" variety. Just listened to a card carrying Democrat speaking of progressives in a negative light. She is Californian, lesbian, individualist. So refreshing to see this rejection of "progressive" Thinking coming from left field. There is a growing awareness now of British liberalism. That is freedom without purchasing power. Orwell's vision of the future is Cameron's sweet dream. I am sorry , but Orwell must have been heavily influenced by a much older book . "Later, in section five, he reiterates this definition, describing a capitalist society as that “in which the ownership of the means of production is confined to a body of free citizens not large enough to make up properly a general character of that society, while the rest are dispossessed of the means of production, and are therefore proletarian"
In particular the explanation and true objective of Goldsteins book . O Brian explains : "we wrote it "
The current Goldstein book is MMT doctrine. Capitalist growth will save us etc etc. These guys now also have a monopoly on morals. Last week on Irish state television they were training 11 years to inform on their mothers smoking in cars. Future stasi agents are being moulded as we speak. The answer to your question, about what kind of society, is a state-centred fascist control kind of society. We cannot excuse this time around the ignorance of the Middle Ages, or the strange delusions of the Victorian period that took a Dickens for people to realise what has happening... This time, it is deliberate, cynical and essentially a hijacking of democracy. That the absurd and meaningless theatre of elections has been played out endlessly does not mean that ordinary people are even represented -- let alone protected. It is a sad epitaph for a country that once aspired to principles and decency -- although it never reached that goal. If you want to run a centralised state then these policies are tremendously successful. A revulsion against usury overtook Europe in 1848. It did not happen in Ireland. Lesson: If you can smash people into oblivion then you can maintain the monopoly of power without much costs. Read Niall Fergusons last chapter on the 1848 event. The guys knew it was coming. In fact they were impatient to get it over with. To move on or to use a American corporate expression: to go forward. The problem with that statement is that the mad farmer cannot walk away. Agrarians do no understand the ticket system. Most farmers cannot write prose for a living. Berry gets cash flow outside his hobby farm. This wealth subsequently gets concentrated. Is it true democracy ? I have some questions to ask: if we can afford basic income why can't we just lower the retirement age in order to make the younger work and the older stop working (and still survive) without worrying about people abusing subsidies? Just few words about italian situation, and sorry about my english. I'm a 58 years old woman, unemployed since 2011, after working for almost thirty years, I'm alone and I don't have any income. THERE IS NOTHING in this Country for people like me, just nothing (we don't have anything like your DWP) . Our Unemployment Centers are only empty boxes. I've survived in these four years I don't even know how, with some charity maybe, suffering hungry and cold, not able to buy medecines, not able to pay the rent anymore (next week I will ruin on the road). I've got many kind of illness because of my indigence, but believe me the worst thing is the absolute opposition of italians (Government and mostly of citizens) about some basic income, they just don't care or are reasoning with astonishing justifications like: “our Constitution is based on work NOT on assistance” (never mind if there is no job at all, if unemployment reached 13%, if every day thousands of firms are shutting down, if suicides are increasing day by day), OR: “if you ask for a basic income you'll became an 'income's slave', or you are a 'gatekepeer' etc etc”. That's unbelievable, that's shameful. Meanwhile our Prime Minister tells everybody that everything is going well, better and better, but people die of poverty, and government Is doing nothing for them. Yves Smith is plying her anti basic income views in NC again. People who engaged in noble work for war export also did not do so well either. The Muck islanders (seaweed / explosive business) were all shipped to Canada. This is just one tiny but extreme example. The southern Ireland economic implosion (butter / meat for the redcoats was far larger in scale. So neither noble work nor basic Income saved them . It was a lack of equity ownership.